Start your free estimate today by filling out our form. There when you need it, hidden when you don’t. Extend your outdoor living space today. Let’s discuss which screen option is best for you. 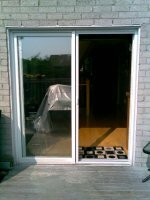 Dreamscreens is a family owned and operated company that is proud to manufacture our screen doors in Oakville, Ontario since 1999. We are committed to manufacturing the highest quality retractable screen doors and overhead motorized screen systems for our customers throughout Canada, Toronto and surrounding communities. Our retractable screen doors and motorized screens are the most structurally advanced and reliable doors that you can find anywhere. Call us at 1-888-282-4678 or 905-849-6500 to receive a free estimate. Dreamscreens has taken the original concept of retractable screen doors and elevated the performance and durability to new standards. Our patented designs have made the product more reliable and easier to install for our do-it-yourself customers. Our mission is to provide retractable screen doors and motorized screen systems that are technically superior to the competition while offering unsurpassed value, service and support to our customers. 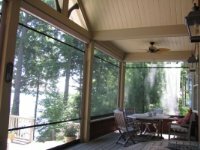 Dreamscreens offer a limited lifetime warranty on all components of our screen doors and motorized screens. If you aren’t sure which screen door is right for your door, we are here to help you decide. We would be happy to discuss your screen door needs, and offer tips and ideas for selecting an appropriate screen door that you can rely on. Are you ready to add a new, beautiful, functional, reliable screen door to your home or building? We pride ourselves on our excellent customer service, quick response time, and high quality screen doors! Contact us today at 1-888-282-4678 or 905-849-6500 for a free project estimate! Our staff looks forward to speaking with you and answering any questions you may have.